A performance improvement plan is an HR-term for a development plan that usually is given to underperforming employees as a form of probation. Akin to a written warning, a performance improvement plan, or PIP, is being used by more companies who realize that showing a path to success and setting goals for underperforming employees is more helpful than just “writing someone up”. More importantly, it can save the employment relationship and, in theory, turn the employee into a top performer. Note: Some companies also use the term performance development plan, or PDP, in place of the PIP. They are usually very similar. We recommend customizing the template in your preferred word processor before printing it out. 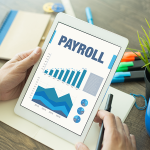 We also recommend including any supplementary documents, like a job description or training materials that can further help the employee understand their responsibilities, to the employee’s PIP. A performance improvement plan, also known as a PIP, is a tool commonly used in lieu of or in addition to performance reviews to provide an employee insight into noticed changes in their performance. PIPs are usually executed when an employee’s performance has slipped, like a salesperson who is no longer meeting quotas or a customer service rep who is no longer meeting the ticket resolution goals. They are also usually executed during the middle of the performance review period or at companies that do not have performance reviews in order to give an employee an official warning that their performance is decreased. While some companies still do things like written warnings in performance situations, a PIP has a bit of an edge in that the ideal goal and the path set by it is to get the employee to success, which can benefit you as the business owner and them. Some companies prefer the term performance development plan in lieu of the word “improvement” in the middle in order to sound less harsh. Alternatively, PDPs can also apply to every employee, even the top performers, as companies also use this phrase as more of an all-encompassing development plan that every employee gets annually, or every 6 months. However, a PIP is generally limited to bottom performers only or those who fall below some sort of achievement mark, like a quota. In addition, a PIP is rarely used for employees on probation as they’re still learning. A PDP does not usually have a specific performance parameter and is a tool more likely used to lift already good performance higher. So what is the motivation behind a performance improvement plan? This is where some people disagree, which we discuss next. While I think that is a little harsh on the meaning behind a PIP, it is commonly used as a way to give an employee a good shake in-between performance reviews that their performance has been in the toilet and it’s time to improve. If you have a progressive discipline policy, you could look at a PIP as the equivalent of a written warning and it should have the same qualities of a written warning — a specific issue pointed out, the resolution expected, and the timeline for next steps. Did the employee not receive appropriate training? Does the employee not understand the expectations of the job? Are there unforeseen roadblocks in the way? SHRM continues to point out that a good PIP will allow for an open dialog and feedback from the employee to help determine whether the employee has been provided all the tools and resources necessary for him or her to be successful. So, while Forbes views PIPs as a negative tool, SHRM makes a valid point that they can also be used as insight for the company to figure out where they have failed their employee and create a feedback process from both sides. A PIP is an excellent tool to document performance gaps and the markers an employee misses. While not the most glorious part of a performance improvement plan, this is a necessary aspect for you as a business owner so that you can defend a wrongful termination lawsuit or prepare for a fire someone. A PIP can be a good solution if you don’t currently have a performance review system in place (and it can spur you into action into creating one to compliment your PIPs). Let’s now figure out how you can execute them at your business. 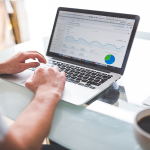 Before you put performance improvement plans in place, you need to be documenting performance in some form, be it set metrics, goals, probationary objectives, job descriptions, or against performance reviews. What will be the point for an employee going on a PIP? Will it just be performance-related or will you add in elements of behavior or cultural fit? For example, one company I worked with put people on a PIP when they were below their weekly quota for more than 2 weeks in a row. They chose that because they recognize that everyone has a bad week every now and then, but 2 weeks in a row is when it’s becoming a pattern. This same company also put people on a PIP is they failed 2 quality checks in a row (it was a call center). So they had 2 kinds of PIPs going, and someone could be put on both at the same time. Note that someone missing a quota for excessive break time and someone who isn’t following the workflow chart are two very different situations. Thus, they call for very different PIPs. You need to then talk to the employee about what is happening, why, and the consequences if performance isn’t improved by a certain date. This meeting should include goal setting, as well as an opportunity for them to provide some feedback on why this has happened. Is there a training gap or something else going on? Dig into the why and set some goals and accountability metrics for the employee to succeed. Get to work on what you said the PIP would include and get the employee going. Encourage the employee along the way and encourage good behaviors in them with verbal and informal feedback. You also will want to set parameters around how many PIPs an employee can have, as well as how long they can endure, without a higher level consequence. For example, the business I’ve been using as an example said you could not have more than 2 30-day PIPs in a row and no more than 3 in 1 year before termination. The final step of holding the follow up PIP meeting is nearly as important as the first. Why? Because you need to follow through with the whole process. When I was working at the example business, management struggled to follow through with the next steps of a PIP, which then lead us to lose credibility among the employee base. “Oh, a PIP doesn’t matter- they forget about it” is something I heard on the floor. You want your system to be respected in order for it to work, and to do that you’ll need to follow through with the process you set. Recruiting costs: Because you don’t need to replace or hire more people. Termination costs: Because you don’t need to fire someone and provide severance or pay out other costs. Overtime costs: If you ended up short staffed, you don’t need to have other people logging hours to pick up the slack. If you’re an attorney and you see a lineage of failed PIPs, a termination for performance is a no brainer. Even if you don’t do performance reviews, PIPs can be good documentation to an outside party for hiring/firing decisions. While not completely a benefit, your employees might be looking for you to have a boundary for PIPs and a boundary for their performance in general. It’s a form of feedback that millennials are desperately looking for in many ways, and it’s also the norm for quota-style roles and keeps employees motivated! Having an improvement plan system, and especially once you find a training or improvement system that works, shows your employees that you care about them. You’re not just going to be a business owner who writes them up, leaves them out to dry, and then fires them. This shows that you are invested in them as well. Let’s also discuss the drawbacks of performance improvement plans. Really, really dislike an employee? Well, guess what. So what? You need to treat everyone equally and go by the PIP process. If other people get PIPs and someone else doesn’t, you can’t just chalk it up to at-will employment — it will look fishy. 2. Is It Postponing the Inevitable? Some might argue that, if someone is on a PIP, are you really just postponing their firing? My response is that’s a very cynical view to a PIP. When done right, a PIP should work, meaning that the employee’s performance improves. A performance improvement plan requires effort on behalf of a manager, be it yourself or someone else, to help an employee to succeed. Like other performance management components, it will take up management’s time… but it can be well worth it! We have a number of other performance-related resources for small business owners, especially if performance improvement plans don’t sound like what you need. 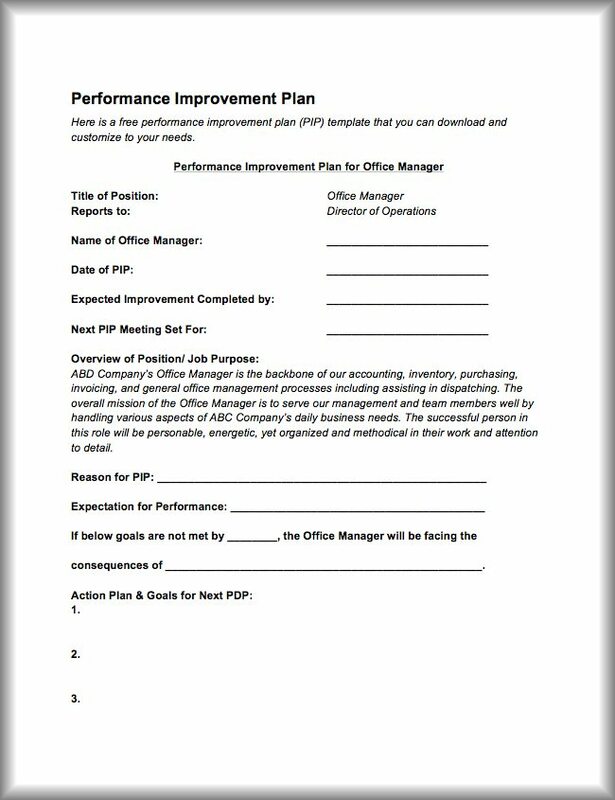 Performance improvement plans are a great way to get employees back on track to being successful with your small business. We recommend putting them into place as an effort to set your team up for success, as well as to save you on employee turnover costs. When PIPs work, they are a great add-on to a performance and talent management program. Akin to a written warning, a performance improvement plan, or PIP, is being used by more companies who realize that showing a path to success and setting goals for underperforming employees is more helpful than just “writing someone up”.